Hi! In this exploration, I take you to a mysterious place that keeps a very sad but sweet story: The House with the Toys on the Roof. 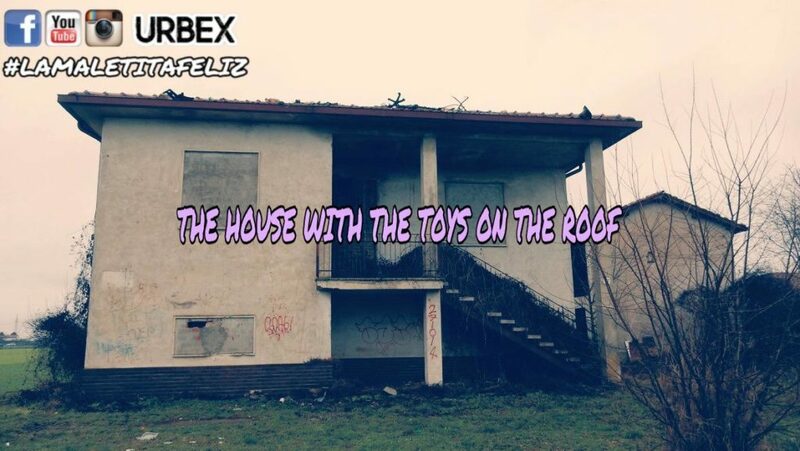 The House with the Toys on the Roof is an abandoned house in the countryside of the Pavese, not far from Voghera Asylum, whose doors and windows have been completely walled, but you can enter by a hole in the back. Once inside you immediately smell an horrible stink mixed to a gloomy atmosphere. Toys, small-sized clothes and notebooks scattered everywhere immediately make it clear that here once lived in children. The story of the the House with the Toys on the Roof is very sad: a man first lost his wife and his baby and to ensure that the poor creature could play from the sky, he put toys on the roof (still visible and photographable). No longer able to live with the horrible memories belonging to that house, he decided to wall all the entrances and move far from it. According to another version the child was killed, but neither of the two stories is verifiable. From what I saw in the cellar, I could guess that the father was used to produce wines. Opposite the building there’ s a ruin with a mural dedicated to the rockstar Marilyn Manson, which makes it even more macabre. 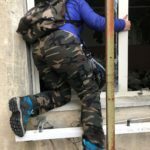 The House with the Toys on the Roof is a fast and easy urban exploration: you can enter through an hole on a wall located at the back and then access the upper floors. I suggest not to enter into the opposite ruin because it’s really very dangerous.